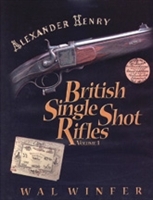 A detailed study of the single shot rifles made by this famous Scottish maker. Rifles, actions, patents, cartridges, etc. are all covered.